New Zealand 7s rugby coach Sir Gordon Tietjens has named four Fijian players in the 12-man All Blacks 7s team for the Melrose Cup challenge which will be held over June 28 – 30 in Moscow. Waisake Naholo, Tomasi Cama, Lote Raikabula, and David Raikuna were named alongside Kurt Baker, DJ Forbes, Tim Mikkelson and Sherwin Stowers. 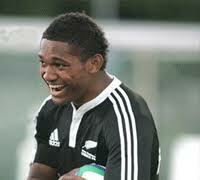 3 Responses to "4 Fijians named in NZ 7s RWC team"
@ Solo oso….lol, kua ni dau vaqor gone ni viji jiko Ga qori…hahaha.